If you look at the foot externally from the side (laterally), the front portion is largely static, whereas the back part of the foot is dynamic or deformable. 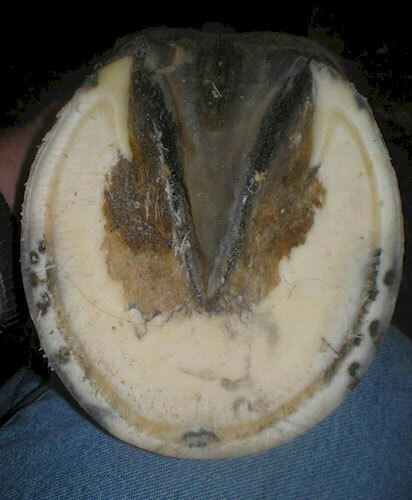 The foot’s structures are all contained within the hoof capsule. From the side, or lateral aspect, Dr. O’Grady envisions a triangle. 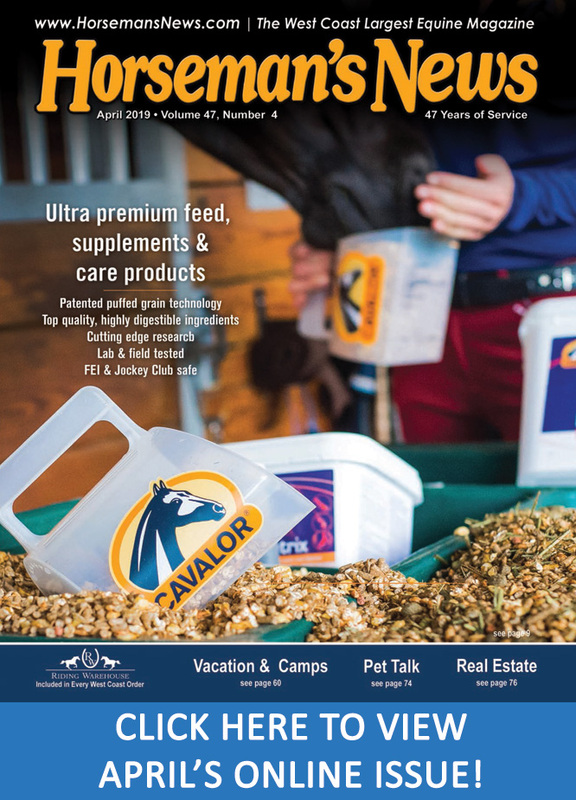 The first line runs from the fetlock down the front of the pastern, across the coronary band and down the front of the hoof: “This forms the hoof-to-pastern axis, which should form a straight line.” The second line begins in the middle of the lower cannon bone above the fetlock and drops vertically to the ground. 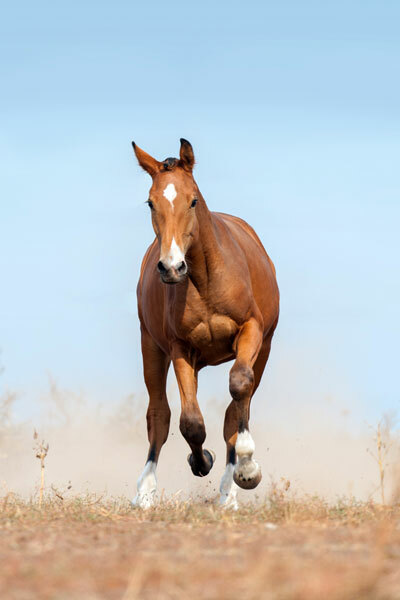 This line “should intersect with the ground at the most palmar aspect (rear) of the weight-bearing surface of the hoof wall at the heels.” The third line connects the previous two lines, along the bottom of the foot. 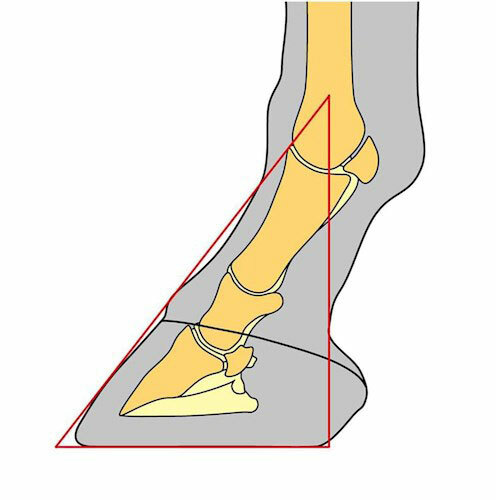 “This triangular relationship can be used to evaluate a balanced, functional foot regardless of the size of the horse,” Dr. O’Grady says. 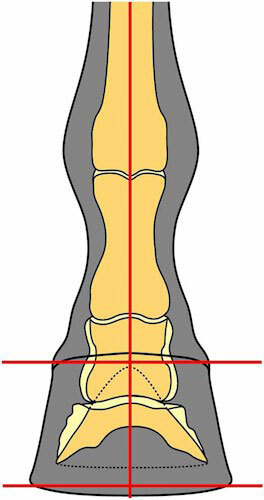 Viewed from the front, or dorsal aspect, a vertical line that bisects the cannon bone and the digit should separate the foot into two equal parts. 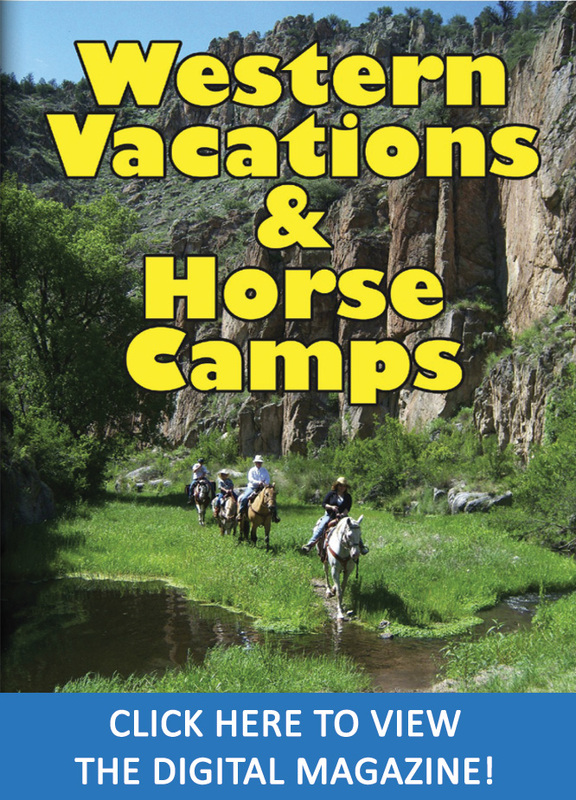 Any line drawn horizontally across the hoof at any point from the coronary band on down, should be parallel to the ground.